Coverplast Barrier Steriili vedenpitävä laastari, 2,4 cm pyöreä (100kpl). Coverplast Barrier muodostaa kaksisuuntaisen sulkukerroksen, joka suojaa sekä potilasta että hoitohenkilökuntaa jopa hengenvaarallisilta kontaminaatiolta ja sekundäärisiltä bakteeri- ja virustulehduksilta. 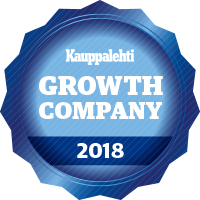 Herkälle iholle soveltuva Leukoplast Soft -laastarirulla. 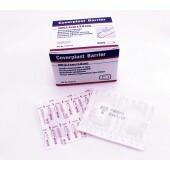 Coverplast Barrier Sterile waterproof plaster 7,2 x 3,8 cm (100 pcs). 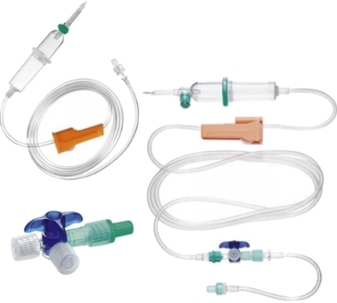 Coverplast Barrier provides a two-way barrier to the risk of contamination and secondary bacterial and viral infections which can ultimately be life-threatening, for patients and care-givers alike. Leukoplast Elastic - Elastic adhesive dressing. 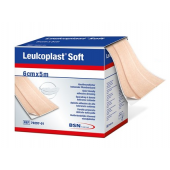 Size: 8 cm x 5 m.
Leukoplast Elastic - Elastic adhesive dressing. 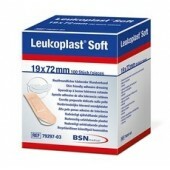 Size: 6 cm x 5 m.
Leukoplast Universal water resistant adhesive dressing. 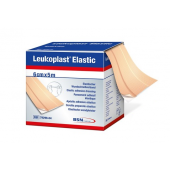 Leukoplast Elastic - Elastic adhesive dressing. Size: 4 cm x 5 m.
Coverplast Classic laastarit 7.2cm x 2.2cm, 100kpl/ltk. The plaster dispenser is placed where it is always conveniently close to hand. The new design of the plaster dispenser can be mounted on the table or the wall. 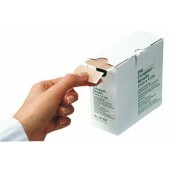 The plaster dispenser is easy to use; on hand suffices to pull out and cut the plaster. You decide how long it needs to be. 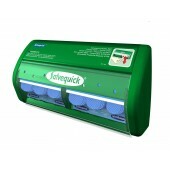 The dispenser is easy to refill and at the same time consumption costs are reduced. Lateksiton itsekiinnittyvä laastari, jossa joustava sidos. 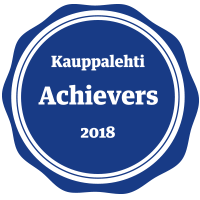 Ei tartu ihokarvoihin. Sopii parhaiten sormien ja varpaiden suojaamiseen ja sitomiseen. Voidaan kastella. Poistetaan rullaamalla. 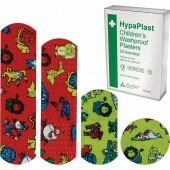 HypaPlast Children's Plasters are colourful and fun, specially designed for children. 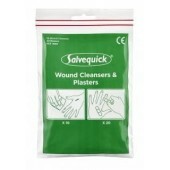 Bag with 20 Salvequick Plasters and 10 Salvequick Wound Cleansers. Salvequick leikattava kangaslaastari on leikattavissa sopivaan kokoon. Kangaslaastarirulla, 5 m x 6 cm, pahvipakkauksesssa. Soft and flexible, detectable by most metal detectors used in the food industry. 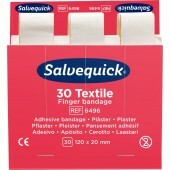 Salvequick Textile Finger Bandage are extra long textile plasters, soft and flexible. 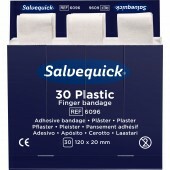 Salvequick Plastic Finger Bandage are extra long plastic plasters, soft and flexible. Curaplast-injektiolaastari on beige, valmiiksi leikattu injektiolaastari rullassa. 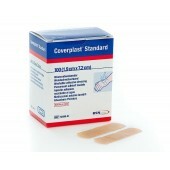 Coverplast Barrier Sterile Waterproof Plaster 2,2 x 3,8 cm (100 pcs). 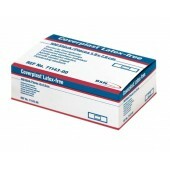 Coverplast Barrier provides a two-way barrier to the risk of contamination and secondary bacterial and viral infections which can ultimately be life-threatening, for patients and care-givers alike. Compeed Extreme relieves pain instantly. 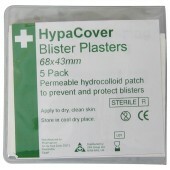 Package includes 5 plasters. 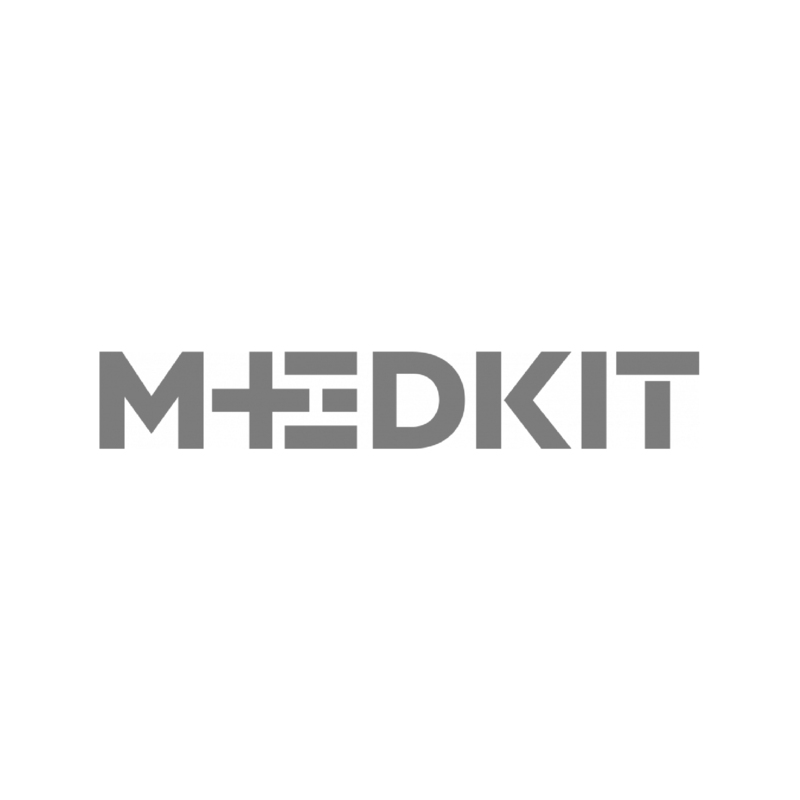 Cederroth Salvequick Blue Detectable plasters are specially designed for use in the food industry. 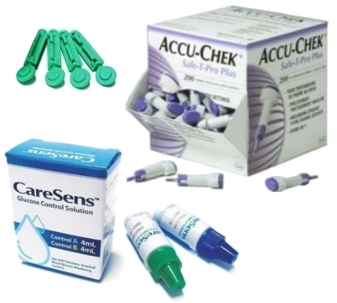 The Salvequick Dispenser and Salvequick Plasters are a complete, easy to use system. 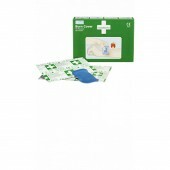 The plasters are always available, ready to use. The refills are locked, which prevents waste. 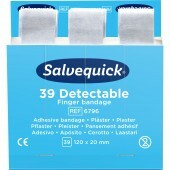 Salvequick Blue Detectable plasters are specially designed for use in the food industry. 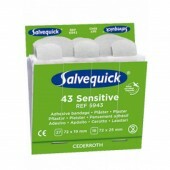 The skin-friendy and water-resistant Salvequick Sensitive Plasters are flexible and easy to use. 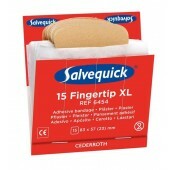 Cederroth Salvequick Fingertip XL is a large, flexible plaster for fingers.